Stinky Breath Hurting Your Game? There's nothing worse than kissing someone with bad breath. Now, you can avoid making others uncomfortable because of your stinky breath. 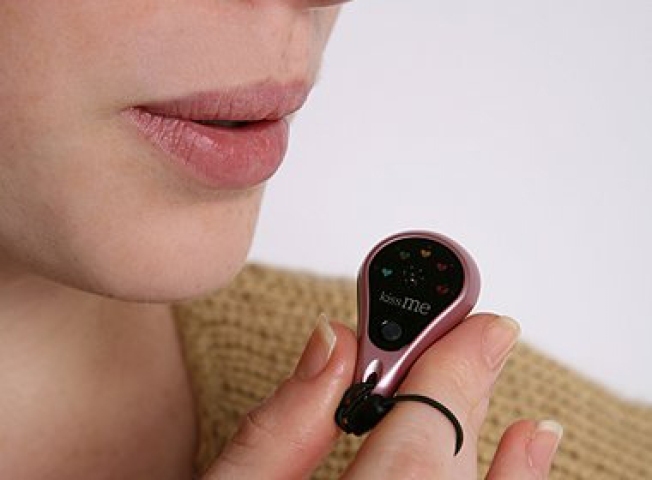 Breathe into the Kiss-O-Meter, a compact "bad breath detector" with heart-shaped indicators to let you know if you're pleasant enough for smooching. Five different readings are possible: Kiss me, Possible, Maybe, Risky, and Never. You can purchase the gizmo for $30 at Philly's own Urban Outfitters.